How the Hell Did Kmart Raise $22 Million for St. Jude? Update February 13, 2014: Kmart responded to my request to join Megan Strand and I on CauseTalk Radio. Thank you for taking notice of Kmart’s continued fundraising success. Given this year’s results for St. Jude (now $59.2 million since the relationship began eight years ago) plus Kmart’s ongoing 31-year relationship with March of Dimes (more than $112 million over that time), we’re extremely proud of the customers and associates who have donated over the years to make real impact for these worthy causes. Appreciate the offer to join your program, however we’ll decline at this time. In case the subject does come up on-air, though, you may be wondering to what we attribute the campaign’s success. We can tell you that St. Jude is a cause that clearly resonates with our Kmart Shop Your Way members and customers, and millions of them embraced the campaign like never before. In addition, Kmart associates were as dedicated as ever, consistently reminding and educating our shoppers about the campaign. Further, we’re always looking to streamline our process to better serve our members. This year we upgraded our check-out technology to make it even easier and faster for customers to make a donation at the register. All told, it’s a great example of how small changes and small acts by many people working together toward a wonderful goal can yield amazing results. Thanks again for reaching out. Kmart raised a whopping $22 million for the St. Jude Children's Research Hospital Thanks and Giving during the 2013 holiday season - the single largest corporate partner donation ever to the St. Jude campaign. That's a mind-blowing number considering that Kmart raised $7.5 million for St. Jude in 2012. That alone is a lot of money - but to triple it the following year is spectacular. But here's the most incredible thing of all: by many accounts, Kmart stores are a basket case right now. For one, sales over the holidays were down - as they've been for the past eight quarters. And instead of being known for its selection of products and outstanding service, Kmart stores are criticized for dirty, disorganized shelves, listless staff and empty parking lots. Lowe's, the chain of home improvement stores, raised $8.8 million for Muscular Dystrophy last spring - a million dollars more than they raised in 2012. Do you really expect me to believe that Kmart with 500 fewer stores and a lot less foot traffic raised $13 million more than Lowe's? How the heck did Kmart raise $22 million? I'm hoping to have either St. Jude or Kmart on CauseTalk Radio to discuss the fundraiser. 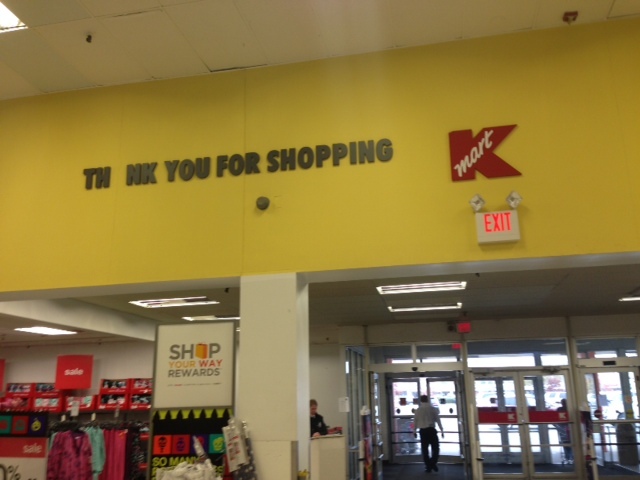 Frankly, I'll have a better shot with Kmart as St. Jude is pretty tight-lipped about such things. In the meantime, I wracked my brain and came up with a few ways Kmart could have raised so much money. 1. Sears raised the money. Sears is part of Kmart. Maybe the fundraiser was held in their stores as well. But I didn't see any mention of Sears in the press release. If Sears did raise the money they gave all the credit to Kmart. 2. Kmart got serious about point-of-sale. We know how Kmart raised the money: point-of-sale. They asked shoppers both at the register and online to support St. Jude. They also sold a Teddy Bear that benefited St. Jude. I'm sure they sold a lot of them, but that's not how they hit $22 million. 3. Incentives might have helped. I wonder if they offered them last year? This year, Kmart rewarded customers for their donation with a five percent discount on their next purchase. I'm a big believer in incentives. They work! Still, incentives only work when you have customers to offer them to. 4. Kmart raised money for nearly four months. Most of St. Jude's partners raise money in November and December. Kmart started raising money in September! But I'm not sure about this one because longer campaigns aren't usually more successful. They're just, well, long - and more torturous for shoppers and employees. 5. The brand power of St. Jude. St. Jude may be the top philanthropic brand in the country right now. It has an amazing pull with the giving public. It's reflected in the $97 million donated to Thanks and Giving in 2013 - a 31 percent increase over the previous year. But even the brand power of St. Jude doesn't explain the threefold increase in Kmart donations. Besides Sears raising the money at its 2000+ stores, there isn't another compelling reason to explain the $14.5 million increase over the previous year. Kmart just doesn't have the stores, customers or culture to raise all that money. What am I missing here? Kmart is a dying company. It's Blue-Light Special has become a red-light disaster. How did they raise $22 million for St. Jude? One thing is clear: The success of companies like Lowe's and Kmart's with point-of-sale is undeniable. I can't promise that you'll raise $22 million, but I have a program that boasts five and six-figure results. You can find it at the bottom of this page.